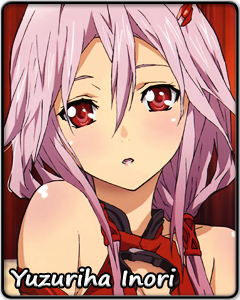 Yuzuriha Inori took on many roles. She was a container, a confidant, and a tool. She obediently did as she was told. But the one thing she always truly wanted was to become human. She cannot understand the sadness and joy of those around her. She has never loved or hated. She was not taught about emotions. But her soul remembers. At times when the silver glow of the moon is her sole companion, Inori lets her voice weave a song. The melody coming from deep within her heart is Inori's comfort, proof that she is not empty inside. But even if she is nothing more than a container, she can still take in the things around her and learn from them. Inori experiences trust and love and grasps onto those feelings. She will keep hold of them until she can understand what they mean and, one day, reciprocate them. Until that day comes, she will protect those few who were able to accept her for who she was. There is nothing within her – no fear, and not a shred of hesitation.